Nicholson’s Cycles is committed to protecting your privacy and giving you a safe online experience. This Statement of Privacy applies to the Nicholson’s Cycles Web site and governs data collection and usage. By using the Nicholson’s Cycles website, you consent to the data practices described in this statement. Nicholson’s Cycles (“Nicholson’s Cycles”, “us”, “we” or “our”) is committed to respecting your privacy and to complying with applicable data protection and privacy laws. If you do submit personal information you can be assured that we will use your personal information only to support your continuing relationship with Nicholson’s Cycles. We endeavour to collect and use your personal information only with your knowledge and consent and typically when you use our services, make customer enquiries, register for information or other services, request product information, submit a job application or when you respond to communications from us (such as emails, questionnaires or surveys). To update your marketing preferences please email nicholsonscycles@outlook.com and tell us what you want us to do (i.e. ‘opt-out Email’, ‘opt-out SMS’ etc or if you have previously objected to receiving information by post for example, but would now like to change your mind and receive information then just say, ‘opt-in post’ in the subject header of your email). We will do this within 1 month of receiving your request. Please note that Nicholson’s Cycles does not sell your personal information to third parties. Nicholson’s Cycles may be obliged to disclose your personal information to meet any legal or regulatory requirements (for example to comply with a court order) or obligations in accordance with applicable law. Any social media posts or comments you send to us (on the Nicholson’s Cycles Facebook page, for instance) will be shared under the terms of the relevant social media platform (e.g. Facebook/Twitter/Instagram) on which they are written and could be made public. You can write to us at any time to obtain details of the personal information we may hold about you. Please write to: Data Protection Officer, Nicholson’s Cycles, 2-4 Forfar Road, Dundee, DD4 7AR. 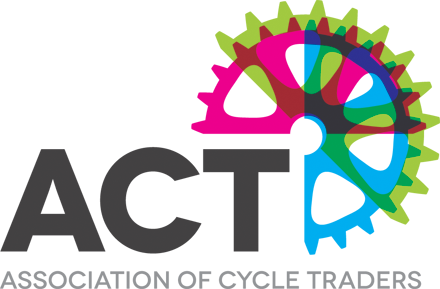 Nicholson’s Cycles recognises that its customers are increasingly concerned about how companies protect personal information from misuse and abuse and about privacy in general. Nicholson’s Cycles is constantly reviewing and enhancing its technical, physical and managerial procedures and rules to protect your personal data from unauthorised access, accidental loss and/or destruction. Our website and management portal is covered by HTTPS. Please be aware that communications over the Internet, such as emails/webmails, are not secure unless they have been encrypted. Your communications may route through a number of countries before being delivered – this is the nature of the World Wide Web/Internet. Nicholson’s Cycles cannot accept responsibility for any unauthorised access or loss of personal information that is beyond our control. Monitoring or recording of your calls, emails, text messages and other communications may take place in accordance with UK law, and in particular for business purposes, such as for quality control and training, to prevent unauthorised use of Nicholson’s Cycles website, to ensure effective systems operation and in order to prevent or detect crime.